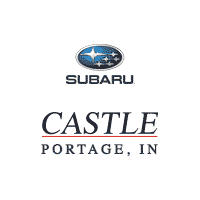 At Castle Subaru, we know our way around tires, especially when it comes to pairing your Subaru with the correct ones it was engineered to ride on. We know the correct size and type that’s best suited for your vehicle. At our tire center, we offer all the major brands and we can also assist you with all-season, summer, performance, and snow/winter tire options. 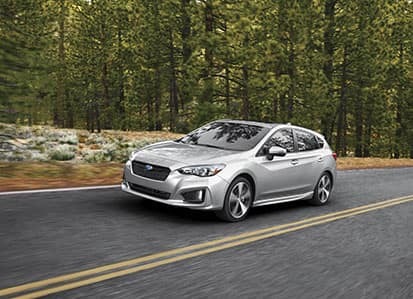 Subaru recommends replacing all four tires at the same time on all-wheel-drive vehicles. Our factory trained technicians will mount and balance them properly and are always ready to help solve any other tire-related issues. You can view plenty of tire options for your Subaru by clicking the Shop for Tires button, so let’s get you started. The area where your tires actually contact the road is very small, sometimes no bigger than the size of your hand. This makes it all the more important that they have a safe amount of tread life and are in good condition. Properly functioning tires are key for safety, performance and ride quality. Simply, a four-wheel alignment uses sophisticated lasers and sensors to determine the wheel angles of your Subaru. If the computer detects that they are out of alignment – according to specifications – our factory trained technicians make the proper adjustments to bring them back into alignment. Having your car aligned – especially when you have new tires installed – will help promote tire longevity. Poor road conditions and daily driving can cause misalignment over time. If you’ve felt vibrations or your vehicle pulling to one side, a wheel alignment may correct those concerns. If the Tire Pressure Monitoring System (TPMS) light comes on and stays lit while you drive, it is warning you that low tire pressure has been detected in one or more of your tires (excluding the spare). Tire pressure can drop when the weather changes from hot to cold, but it will also decrease if you have an air leak. You can check the pressure yourself. Watch this video about checking the tire pressure on your Subaru.